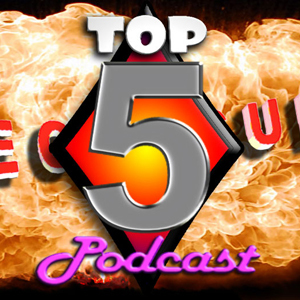 Every episode, we bring you our Top 5 stories of the week in technology and music, and afterwards a random list that we find funny, interesting, and sometimes thought-provoking. Sometimes. Mike and Travis don't do what most podcasts do and aimlessly ramble for an hour. We've got format! A mission, damnit! We always bring you the things you want to know, the things you wish you didnt know, and things you'll want to ask your mom about. Comedy, knowledge, and an hour of good times.